Subprime borrowers in particular aren’t as resilient when it comes to surviving a financial shock. Although the labor market added a better-than-expected 223,000 jobs in May, robust wage growth again proved elusive with an increase of just 2.7 percent on an annualized rate. An accumulation of recent data indicates that some Americans are starting to struggle financially, suggesting that workers may have added debt to their household balance sheets because they expected to be earning more by now. Delinquencies have ticked up in retail credit cards, which typically have a lower bar for acceptance than general-purpose cards, and in car loans to people with subprime credit scores. The percentage of private-label retail credit card bills unpaid for 60 days or more is 4.65 percent, a seven-year high, according to credit bureau Equifax, and the amount of outstanding auto loan debt unpaid for 60 days or more has risen by more than 5 percent year on year. Amy Crews Cutts, chief economist at Equifax, said that a subset of auto lenders concentrated in the subprime space had been hit especially hard after expanding their activities to include more “deep subprime” borrowers. Consumers added $63 billion in debt in the first quarter of this year and owed a collective $13.21 trillion as of March 31, according to the Federal Reserve, and more of them appear to be having trouble servicing that debt: According to a separate Fed report, the number of people who have fallen behind on their credit card payments for 90 days or more has increased “notably” from a year ago, and car loan payments overdue by 90 days or more have been on the rise for more than five years. 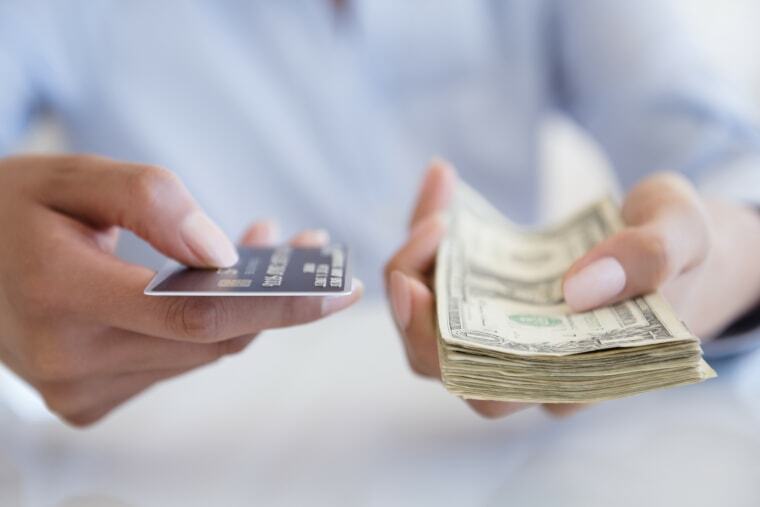 According to the National Foundation for Credit Counseling’s annual financial literacy survey, nearly 40 percent of Americans carry revolving credit card balances. A quarter of respondents told surveyors they don’t pay these bills on time, and nearly 10 percent have debt in collections — both figures that are higher than last year by 3 percentage points. While consumer credit experts are quick to point out that none of the metrics on debt and delinquency are as dire as they were in the throes of the Great Recession, they concede that the increases are worrisome. “It’s noteworthy because we’re far enough along in the expansion that we know the business cycle isn’t dead yet, so is this something to worry about,” Cutts said. The problem is that the recovery’s economic gains haven’t been equally shared among Americans, said Mark Hamrick, senior economic analyst for Bankrate.com. Six months into a historic tax cut for businesses, workers aren’t seeing the kinds of pay increases its political backers said would follow. A Morgan Stanley survey found that just 13 percent of this corporate windfall is going to worker pay, benefits or other compensation. “One of the false selling points of the tax cut was that employers would more often feel ‘charitable’ in sharing their own benefits from that move, but the reality is employers, by and large, are only going to pay the wages they absolutely need to pay,” Hamrick said. As the unemployment rate drops, more companies are hiring less-skilled workers — whom they can pay less, but who may have to be trained at the employer’s expense — and finding new ways to attract and retain workers, like Walmart’s announcement this week that it would begin subsidizing college education for its workforce. Credit experts said promises of trickle-down tax cut-related pay raises may have given some borrowers unrealistic expectations about their own financial well-being and ability to handle a larger debt load. "The reality is that about 40 percent of the U.S. population is living paycheck to paycheck." That small thing could be the increase in interest rates, which some credit market experts were already expecting to be a problem for people with tenuous financial stability. Credit pros predicted that lenders, after being burned by the lax lending standards they extended to borrowers a decade ago, will tighten their terms, requiring higher credit scores, curtailing credit limits and promotional interest-free offers. In harder-hit sectors like retail cards and subprime car loans, this is already happening. But while the banks will do just fine, the prospects for struggling borrowers aren’t as bright.